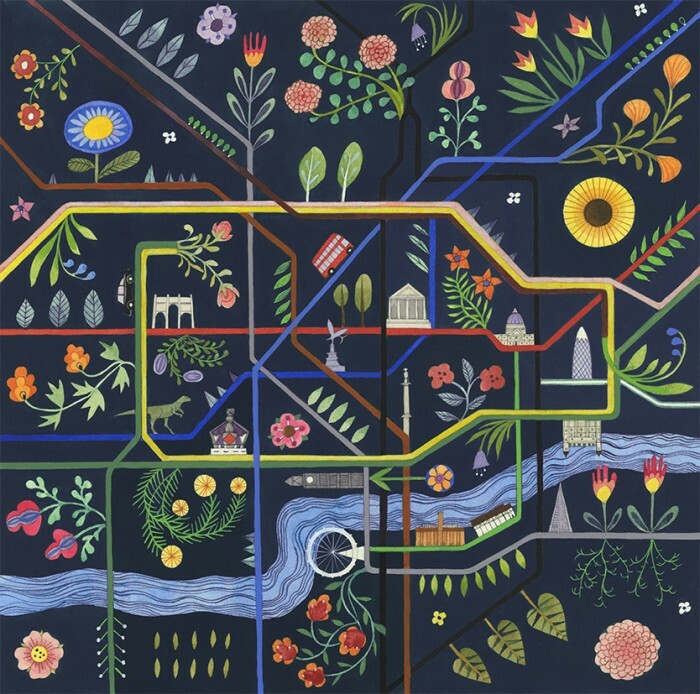 A map of the London Underground with flowers, painted in gouache, watercolour and inks. The original has a green background and was adapted from an illustration from my book about ‘Hand Drawn Maps’, published by Thames and Hudson in 2017. Giclee prints 40×40 cms, both in a limited edition of 20. £95.00 blue here and green here. A portrait in pencil and paint of fiddler and theatre director, Zoe Hinks. A drawing in ballpoint on paper finished with acrylic.